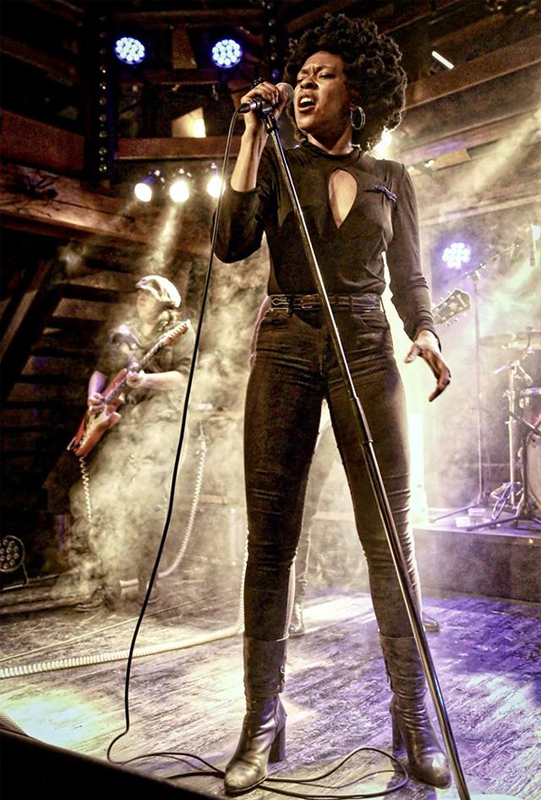 Independence has always come easy for vocalist/lyricist/bandleader Nikki Hill, raised by a single mother and two older sisters in close quarters throughout Durham, North Carolina. This inspired not only her confidence at a young age, but a self-reliance and strong curiosity, which informed Hill’s interest in art, reading and writing. The moment she could break free from the long Sunday sermons and weekday choir practices, Nikki traded the pews for barstools, sneaking into venues when necessary, and was soon immersed in North Carolina’s roots scene. She felt oddly comfortable, finding a direct connection between the energy she saw at local shows in Chapel Hill, and the intense praise dancing, gospel shouting church services she attended and sang with up until she was a teen. Seeing everything from Dexter Romweber to Carolina Chocolate Drops, Bo Diddley to Motorhead, her new sermons came from rockers and bartenders, cowpunks and starving artists. Everyone had a story, and very soon, Nikki was in the mix herself, immersed in music, getting into trouble, and making stories of her own. Hill was always happy to lend her harmonies to bands around town but not much more. But when meeting Matt Hill in 2005, they both found a young friend in each other who could talk just as much about Lightnin’ Hopkins as they could Bon Scott era AC/DC. Nikki and Matt eventually married in 2011. For the pair, it was a friendship turned loving relationship that encouraged both to pursue all life could offer. Nikki also gained a partner who musically understood and supported her ideas. She learned quickly, putting her thoughts into action, and piecing together writing she had saved over the years. Moving to St. Louis after they married to help boost Matt’s own touring career and supporting his solo albums, the pair performed as a duo between Matt’s tours, making money where they could, and giving Nikki a chance to practice and write in between her jobs. Landing a local venue show with other musicians, Hill’s voice quickly rang across St. Louis and she shifted to performing with a full band, asking Matt to play guitar. Nikki’s live shows became quickly known in St. Louis and Chicago for their energy, unique sound, the loving vibe of her and Matt’s interactions, and for her charisma, already highly developed from her pentecostal roots and studying the greats. 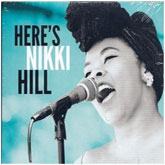 By the time Hill released “Here’s Nikki Hill” in 2013, word had spread, for better or worse. The reputation of the live show preceded itself, and heavily. Still, all of this did not translate immediately. With the rarity of modern young black rock ‘n roll singers/entertainers without a long standing career like powerhouses Barrence Whitfield or Lisa Kekaula or Fishbone, Hill found herself in an odd spot, shuffling often between confused local audiences, who had clearly come to see the woman on the poster, wearing a headwrap or natural hairstyle with quasi-retro leanings, and shockingly receiving an unbridled, electric guitar driven performance. But, instead of frustrating, it encouraged Nikki to push herself to the limit in commanding the stage, and showing people that rock n’ roll didn’t have one look or sound. The strong public curiosity allowed Hill the chance to open for a range of artists from Billy Boy Arnold, to Eileen Jewel, to Nelly, before she even had music released. Labels came calling, but were looking for stylings of the more well-known Hill, or of a more boxed in retro feel that could be fully embraced by the purists Nikki had come to abhor from her former years of teen rebellion. Nikki’s DIY upbringing deflected this path, and moved forward to continue developing her sound, where there is a pulpit in the garage; where the girl group turns up the guitar, where southern twang cuts through heavy soul groove. Hill, with Matt on guitar and a changing rhythm section, played over 20 festivals and close to 200 venue shows in 2013, building audiences across the US and Europe. She also recorded with Deke Dickerson and The Bo-Keys in Memphis, TN, lending her voice to the “Soul Meets Country” EP, expressing yet another side of her limitless enthusiasm for all things roots. Nikki and Matt also moved to New Orleans, LA, returning to the south, and picking up influence through the Gulf Coast. The momentum continued through the release of her second album “Heavy Hearts Hard Fists” in 2015. With fiery soul and heavy R&B with rock n’ roll boogie and tons of attitude to match, the album was received with many accolades from press and fans and kept Hill touring in the US and Europe, adding Australia and India and Morocco to an already impressive tour schedule, and over 30 festivals a year, including Montreux Jazz Festival, Monterey Jazz Festival, Byron Bay Blues Festival and more. 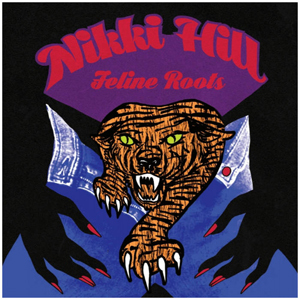 Nikki’s new record, “Feline Roots” will be independently released again on house label Deep Fryed Records. Out November 16, Hill lets her soul rip on this new collection of songs, displaying her now well-known stance to champion for the pioneers of roots and rock n’ roll, while remaining in perpetual forward motion, inviting anyone who wants to come along for the journey. Johnny Thunders straddling guitar, Bad Brains’ rock meets reggae, Stonesy groove, Sister Rosetta Tharpe rave up rockin’ gospel power, all receive nods of recognition. Hill is unafraid of her past or experiences, and puts it out there for the sake of the song. The songs imagine the southern soul rocker at times waving her flag in surrender, then in the next moment finding her way back into the climb, bending through supercharged blues, punk soul, revival tent gospel, rockabilly shouts, whatever it takes to get there. It’s her version of rock n’ roll that can only come from her stories. Nikki has never been afraid to take the road less traveled, and it’s clear with “Feline Roots” that she’s living every word.